What is your favourite way to style the Auld Keep at Dundas Castle? We love decorating the Auld Keep with lots of foliage’s and candles. Bringing the outside in! The natural style works perfectly against the stone work and furniture of the Auld Keep. Something scented is also wonderful, so as guests walk up the stairs there is a heavenly scent creating a warm welcoming ambience alongside the candles. There are so many places that can be filled in the Great Hall but for us the most important places are the fireplace, altar and font. Large branches of blossom and foliage’s are perfect for such places in the spring. Vases full of blousy peonies in the summer. In autumn the rich warm tones work perfectly and lastly winter, when every nook and cranny cries out to be filled with candles. 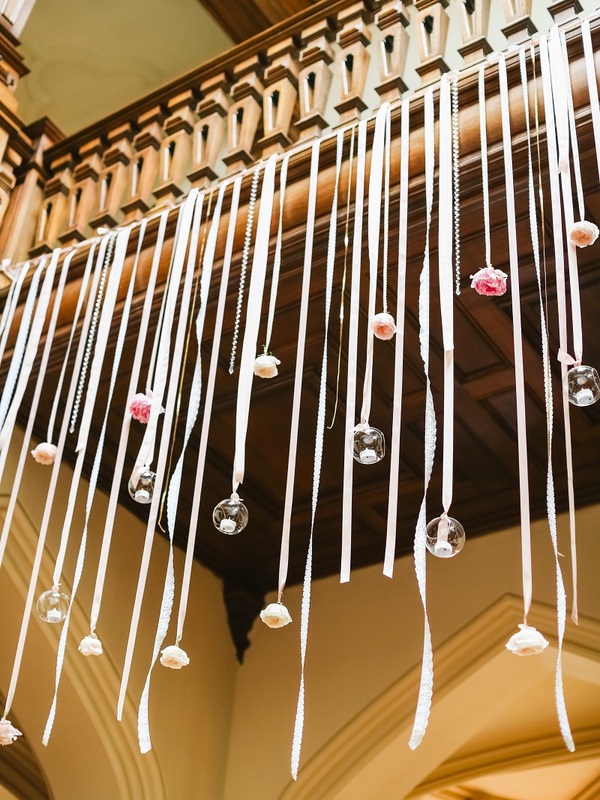 How can brides use flowers & styling to make the Dundas Pavilion their own? 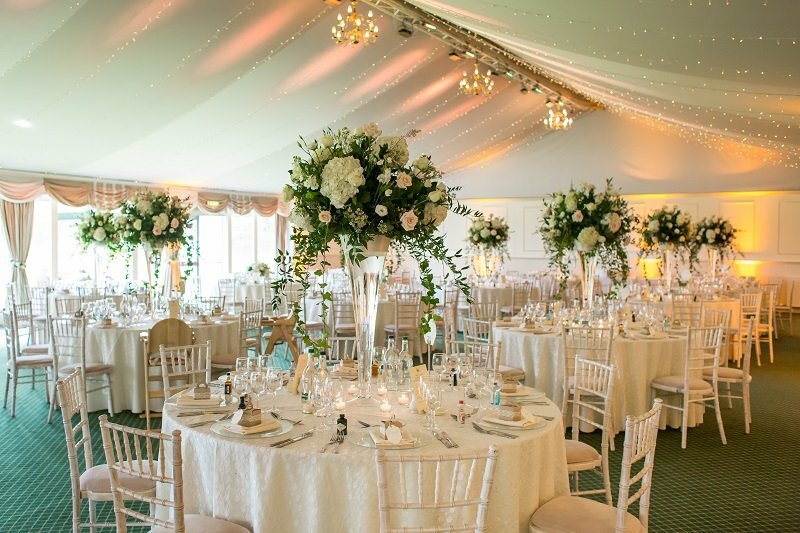 The Pavilion is a blank canvas ready for you to create your dream reception room. Once you have created your ideal colour palette and style try to stick to it to help bring the look together. Tall table designs are the quickest way to put your stamp in the room. 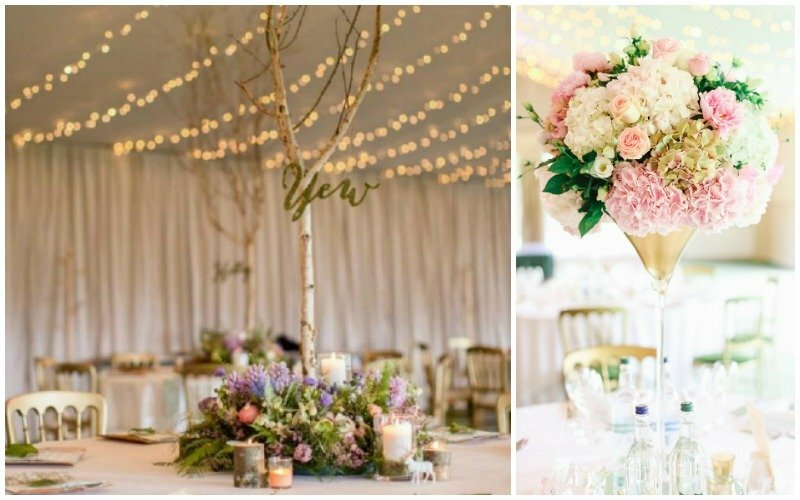 Vases, candelabras, even trees are great for this, slim enough that guests can see past them and tall enough guests can see under the design keeping sight lines clear. If you decide a tall installation is too much for the room and opt for a low creation then it’s a good idea to create a few tall features within the room for some focal points. What areas in Dundas make for the best floral statements? 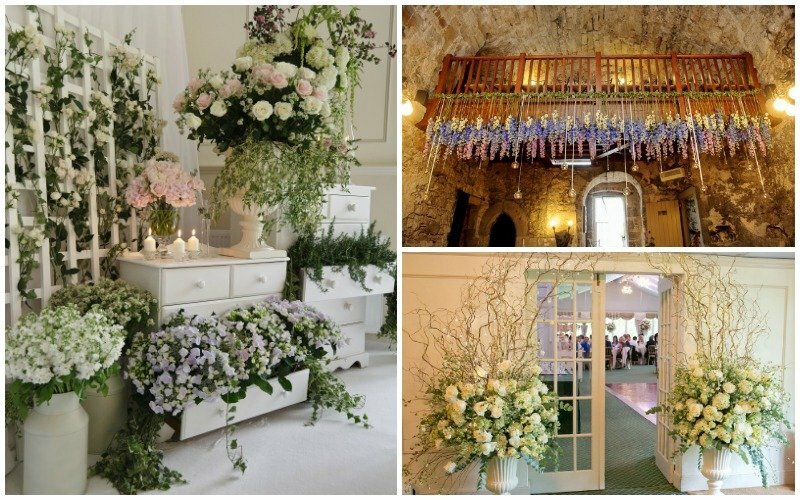 There are plenty of exciting spaces that a floral feature can be created, it’s really dependant on where you feel it will be most noticed. 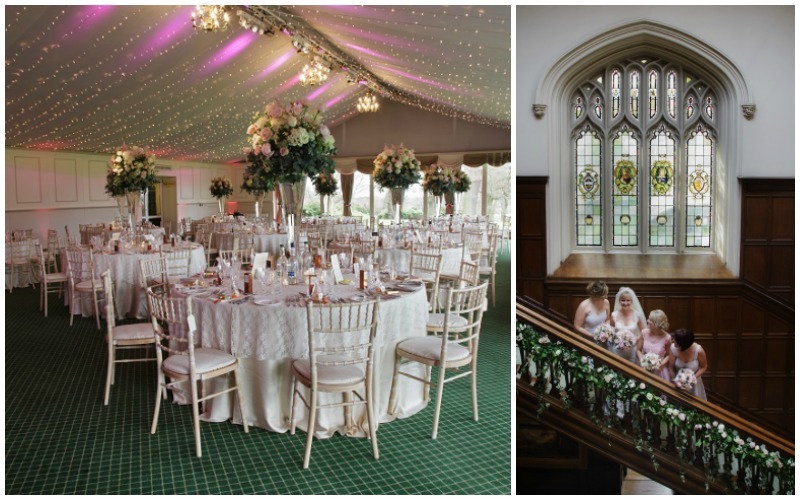 Some of our favourite spots are the entrance to the Auld Keep, the balcony of the Minstrels Gallery, the trees that canopy over the steps down to the pavilion and of course the ceiling of the pavilion! The skies the limit to what design should be installed. Keeping things classic with arches, oversized arrangements and garlanding which complements Dundas Castle style without flaw or more creative designs involving signage and props can put more of your own personality within the features. 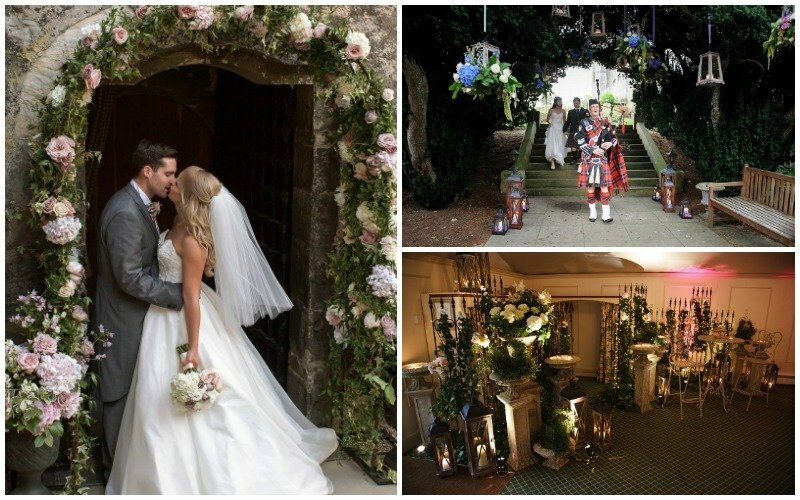 What has been your favourite Dundas wedding you have styled & why? We have been styling weddings at Dundas Castle for over 20 years. There have been so many favourite moments we have been a part of, yet the most meaningful times are with the incredible couples we have had the opportunity to work for on their special day. 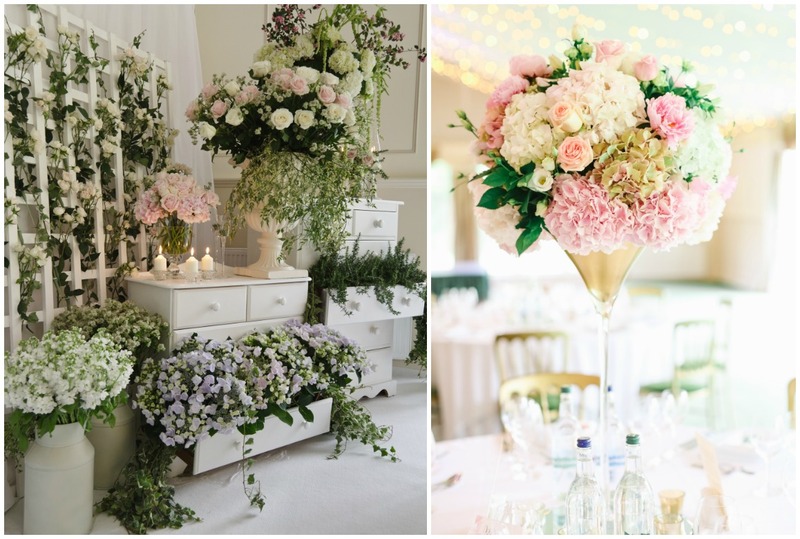 What do you think will be the biggest floral trend for weddings in 2017? The movement of floral designs which have a very natural style we think will continue and with this years Pantone colour being “greenery” it can only flourish more. We love it!